The Top Ten Reasons to Preserve Rock Creek Hills Park. Subject: The top ten reasons to preserve Rock Creek Hills Park. 10. 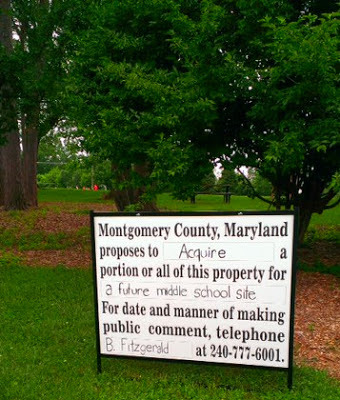 The Montgomery County Parks Director said that the proposed school "would obliterate the park;" the Montgomery County Public Schools official who ran the feasibility study acknowledged that, if the school is built, "there's not going to be any trees left." 9. Our county's Housing Opportunities Commission used tax-exempt bonds to build the Kensington Park Retirement Community, which stands on much of the footprint of the former Kensington Junior High School. These senior citizens regularly use the park, especially its walking path, which would be off-limits to them. 8. The feasibility study proposes replacing the park's two full-size soccer fields, which saw 1200 hours of permitted use last year, with smaller "overlaid" fields that would limit athletics. The proposed school would be the middle school on the smallest site, in the entire county, without an adjoining (or “co-located”) park to provide space for student recreation and sports. 7. The park fails to meet most of the Board of Education's middle school site standards, including criteria for location, size, topography, and access. Indeed, the site fails to meet each element of the official "access" criterion: Frontage on a primary [70 foot right-of-way] road; three access points (for safety, to separate cars, buses, and trucks); community sidewalks. None of the final feasibility study options have three access points, or a separate service drive. 6. The feasibility study proposes construction on the steep slope of the small site, in contravention of concerns expressed by the Planning Board and County Council decades ago. This, and substantial regrading of the entire site, would raise costs; an Independent Construction Budget Estimate puts 2017 total costs at $64.5 million. Entrances for those arriving by car and and by bus would be located on different levels of the school, increasing staffing requirements and heightening security demands. 5. 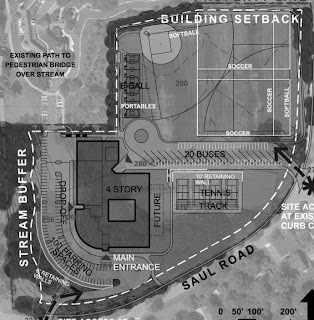 Ms. Laura Berthiaume, then a member of the Montgomery County Board of Education, stated that, because Rock Creek Hills Park is not of "adequate size," if the proposed B-CC middle school #2 were to be built there, then it would soon become necessary to build a third middle school, on the site of the former Montgomery Hills Junior High (currently the Yeshiva and Torah School of Greater Washington). 4. 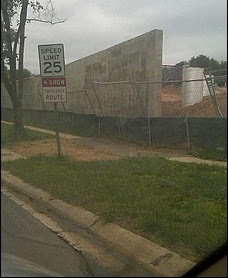 Given all the above, it is reasonable to ask, how was the site chosen? The park was not the first choice of the first site selection advisory committee, and the Gazette newspaper reported: " '... misinformation may have prejudiced the votes of committee members' [of the second site selection advisory committee], said Brooke Farquhar, a supervisor ... for the county parks department." 3. The Montgomery County Board of Education did no comparative analysis of alternative sites, including the alternate recommended by the second site selection advisory committee, which is more than twice the size of Rock Creek Hills Park. Montgomery County Planning Board Chair Françoise Carrier noted: "While two MCPS personnel attended our mandatory referral meeting and participated when asked, neither had any information about what the MCPS program would look like on that [alternate] site." 2. The B-CC High School NAACP Parents' Council wrote that they "cannot support the recommendation to build the new middle school in a potentially racially divisive and socially isolating location. ... We, therefore, ask the Superintendent and the Board of Education to decline to adopt Rock Creek Hills Local Park as the site for the new middle school." 1. Transfer of the land appears to violate state and federal law, and there is a judicial appeal request underway. If the appeal is granted, and is successful, then any changes to the park, including ownership and physical changes, will need to be reversed. Please share your thoughts today! This sign requesting public comment was posted near the main park entrance. Although the sign doesn't say so, we were told today that the deadline for your comments is this Thursday, June 6th. "Counsel, the Association, and the individual plaintiffs have reviewed the April 23 order carefully..."
On March 14th there was a two-hour hearing in Montgomery County Circuit Court on our lawsuit regarding the proposed conversion of Rock Creek Hills Park to school site use. The hearing is continued (adjourned) until April 11th. Our counsel believes that the continuance reflects the Court’s efforts to render a well-informed decision. ("The site contains 4 forest stands with a total of 3.55 acres of forest onsite." The Montgomery County Parks Director said that the proposed school "would obliterate the park;" the MCPS official who ran the feasibility study acknowledged that "there's not going to be any trees left." Your contributions are needed to meet upcoming legal fees. Click *here* to make a contribution to the park's legal defense fund, then click *here* to go the park's Facebook page, where you can let fellow park supporters know that you have contributed, and why! 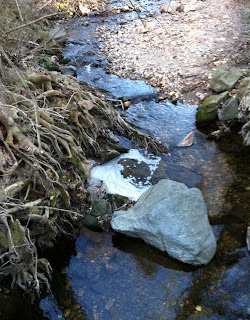 Help Preserve Rock Creek Hills Park. Supporters of Rock Creek Hills Park have contributed to the ongoing legal effort to enforce federal, state, and county park protection laws and overturn a decision to obliterate the park. We've come really far, but there's much more to do. If you value the park's serenity, the sanctuary, and green space; if you value the soccer games, lacrosse practices, sunrise exercise classes, and walks in the park; the playground, hockey rink, and tennis courts – or even just the right of a community to preserve its public green space from bulldozers – then please donate in support of this legal battle. Please send your contribution today. 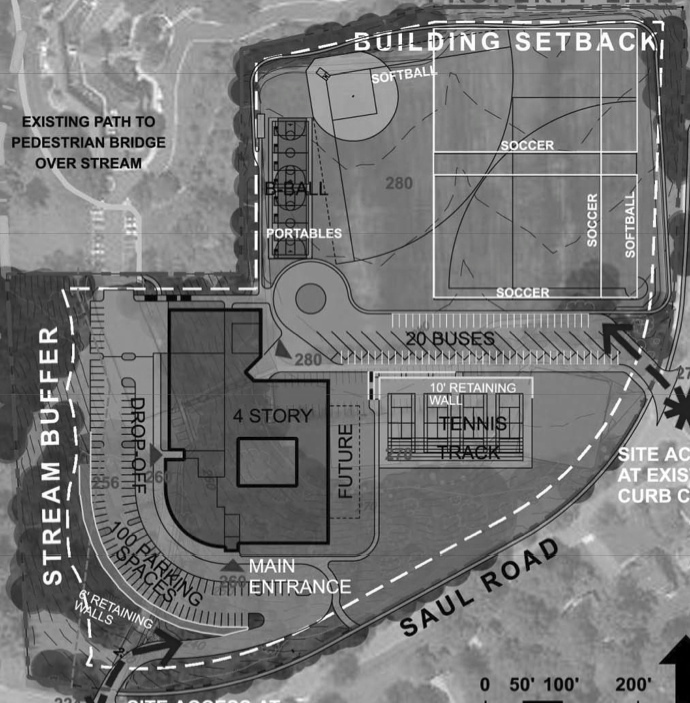 The Maryland-National Capital Park and Planning Commission, in opposing the decision to take the park, noted that their recent Land Preservation, Parks, and Recreation Plan identified the two full-size soccer fields of Rock Creek Hills Park as among those most urgently needed to accommodate surging demand for athletic fields in the dense Down County area. We need your help to meet upcoming legal fees. Please join neighbors, friends, supporters, and park users in making a difference through a donation to the fund, and support our legal defense of the park. Please make checks to the Rock Creek Hills Citizens Association, noted to the Litigation Fund, and mail them to Mr. John M. Robinson at 9616 Old Spring Road, Kensington, MD, 20895. Or, click on the "Donate" button on the right to contribute via PayPal (you don't need a PayPal account, just a credit card). Thank you for your help. Please, after you contribute, go to the Save Rock Creek Hills Park facebook page, let us know that you have donated, and tell us why!